1MSC Student of Nursing, Student Research Committee, Hormozgan University of Medical Sciences, BandarAbbas, Iran. 3Lecturer, Department of Environmental Health Engineering, Faculty of Health, Hormozgan University of Medical Sciences, Bandar Abbas, Iran. Introduction: Private clinics are one of the most important providers of health services that play a special role in the physical and mental health of patients and also in improving the health level of the community, the aim of this study was to determine the health and treatment indicators of private clinics in Bandar Abbas city based on national standards in 2017. Methods: In this cross-sectional study, the study population was 80 specialized physicians, surgeons, and dentists’ clinics in Bandar Abbas. Data was collected by using a standard checklist including health and treatment indicators. The data were analyzed using descriptive statistics methods in SPSS 16 software. Results: In terms of treatment indicators, radiology and ultrasonography clinics received the highest score (61.5 out of 69) and the lowest score was for specialized pulmonology clinics (55). In terms of health indicators, the highest scores were for specialized gynecology clinics (27.9 out of 33), pulmonology (27) and psychiatric (27), while the lowest score was for ultrasonography and radiology (23.6), internist and dermatology (24). Conclusion: According to the results, training on health standards provided by the Ministry of Health and Medical Education will help to increase the level of health and treatment services in clinics in Bandar Abbas. Amerioun A, Tofighi S, Mahdavi S, Mamaghani H, Meskarpour Amiri M. Assessment of International Joint Commission (IJC) accreditation standard in a military hospital laboratory. Iranian J Mil Med. 2011;13(2):75-80. Jonidi Jafari A, Golbaz S, Sajjadi HS. The study of environmental hygiene indexes status in Karaj Hospitals: 2011. J Hospital 2012; 10(4): 9-18. Goodarzi B, HahsemiN, Heidarinejad Z. Survey of health and Protection status of radiology centers of Bandar Abbas city in 2016. Journal of Preventive Medicine 2017; 4(2):50-59. Fadaei A. Comparison of Environmental Health Indices of Private Clinics in Chramahal and Bakhtiari Province, Iran. Adv Environ Biol. 2014; 8: 2335-38. Mehdipour Rabori M, Khalooei A, Nakhaei Amroudi N, Nourmoradi H. Compliance with Environmental Health Standards in Educational Hospitals of Kerman University of Medical Sciences in 2009. 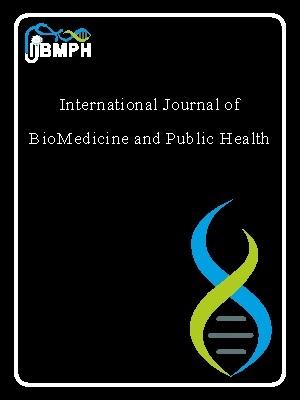 Journal of Health. 2013; 5(2): 159-169. Razghandi F, Molazem Alhoseini R, Khamirchi Ramezan A, Hoshmand R. The Status of Environmental Hygiene Indexes in Sabzevar Educational Hospitals: 2014. Beyhagh; 2016; 21(36): 60-6. Hosseinpoor S. Investigating Status of Environmental and Structural Health Indicators Among Therapeutic and Educational Hospitals of Urmia, in 2016. J Urmia Nurs Midwifery Fac. 2017; 15(1): 58-66. Salimi M, Arab M, Akbari F, Zeraati H, Farzianpoor F. A survey on the status of environmental health management in Qom province hospitals. Journal of School of Public Health and Institute of Public Health Research 2007;5(3):59-66.